Our travel clinic is operated by Karen Church. Aikenhead's PharmaChoice provides a full service pre-travel clinic including pre-travel consultations, prescribing and administration of travel and publicly funded vaccines and prescribing of travel related prescriptions including antimalarials and treatment for travelers diarrhea. The clinic is open on Wednesdays and Thursdays. To book a consultation please fill out the form below (1 form for each person travelling) and submit directly online, ideally 2-3 months before your travels but we take last minute appointments as well. If you have any questions, please feel free to email Karen. At the appointment, a pharmacist with an education in travel health will review and provide a written assessment of travel health recommendations and provide a prescription for vaccinations and medications recommended or required for the itinerary. This includes the cost of administration of vaccines but does not include the cost of vaccines or medications. Depending on the itinerary, the consultation typically lasts between 15 and 30 minutes. Vaccine administration is provided by a pharmacist trained in the administration of vaccines. You may be required to wait at Aikenhead's Drug Store for approximately 30 minutes after receiving a vaccine. Initial vaccine administration is covered in the assessment cost. Booster vaccine appointments will have a $15 charge. Download the iPhone or Android App for quick and easy prescription refills. Download iPhone App: Click on the link! Download Android App: Click on the link! High Dose Influenza Vaccine will be OHIP covered for residents of Ontario 65 years and older through their physician's office. This version cannot be obtained through your phamacy. We have 5 injection trained pharmacists who will be administering the flu shot to patients 5 to 64 years of age. Clinic dates to follow. Download your consent form above. Aikenhead's is now an official Canada Post location. Collect your parcels and pick up prescriptions in one stop! April 5th was Sweater Day in Downtown Renfrew. Aikenhead's Drug Store welcomes and encourages applications from people with disabilities. Accommodations are available on request for candidates taking part in all aspects of the selection process. 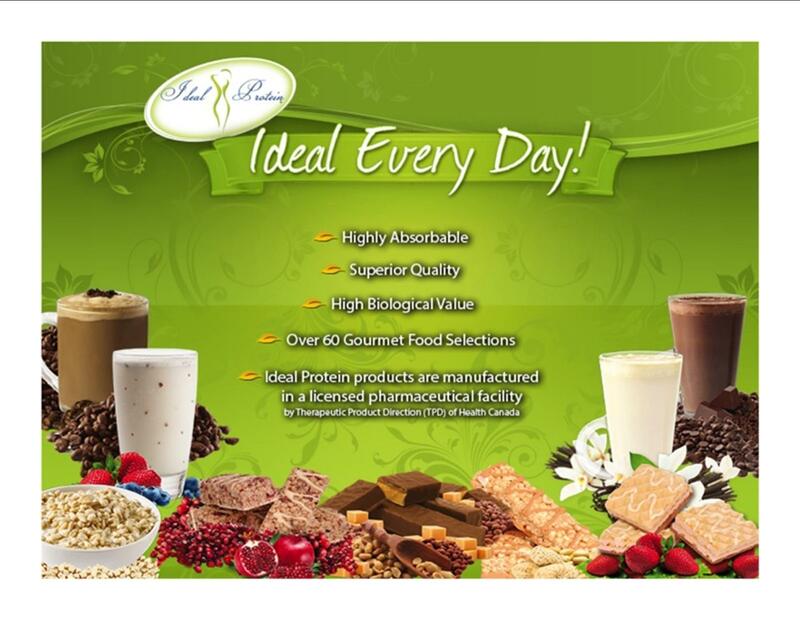 Ideal Protein is a medically supervised weight loss program. Please contact Michelle Couper for further details. Born and raised in Renfrew, I wanted to choose a career that allowed me to come back to the area and raise a family here. I wanted to work in the health care field directly with the public and pharmacy allowed me to do both.I like small town independent pharmacy because you really get to know your patients. As the owner of Aikenhead’s PharmaChoice, I strive to ensure that this pharmacy is the one who patients look to for current, knowledgeable information and exceptional pharmaceutical care. I am a strong advocate of continuing education and encourage my staff to work with me to achieve this goal. I continually look for needs within our community and specialize to meet those needs for our customers. 2009 Pharmacist of the Year (Ontario Pharmacists’ Association) in recognition of outstanding service to the profession of pharmacy. 2009 Wyeth Consumer Healthcare Bowl of Hygeia Award, in recognition of commitment to community service. Aikenhead's offers free delivery within town limits. Just another way Aikenhead's works for you! The leg veins are susceptible to circulatory disorders as a result of carrying large volumes of blood. Unhealthy backward flow can cause leg fatigue, swelling, pain and varicose veins. One of the ways used to manage leg problems is to use elastic compression stockings. Here at Aikenhead's Pharmachoice we have trained staff to measure you for stockings. We have an assortment of colours and styles to fit your needs. Appointments are not always needed. Come in today and step into a healthier lifestyle with Aikenhead's. Aikenhead's has a long history of community involvement. Don Aikenhead, a former owner, was a member of town council. Neil Ritchie, also a prior owner, was a member of The Rotary Club. Andrew Ritchie, a current staff pharmacist is a member of The Rotary Club. Aikenhead's Drug Store is the major sponsor of The Aikenhead's Hospice Classic. It is in its 7th year of operation, and has raised $117 000 dollars for Hospice Renfrew so far. "For the past 15 years I have thoroughly enjoyed my career as a community pharmacist. Being a pharmacist has not only enabled me to work in three different provinces but has also allowed me to live and work in smaller communities where I have the opportunity to get to know the people who call or come into the store. I became a Certified Diabetes Educator in 2009 and since that time I have been able to use my knowledge and skills to help people better understand and control their diabetes." Aikenhead's Drug Store has an outstanding working relationship with the staff at The Bonnechere Manor. Be assured that if you or your loved one is admitted to The Manor, the Aikenhead's Drug Store and Bonnechere Manor teams work hard to look after you. Never miss a dose with Aikenhead's compliance packaging options! Compliance Packaging, or blister packaging, is a simple way to manage your medications. Medications are organized into individual packets based on your medication schedule. Each week, medications are delivered or can be picked up based on your schedule and preferences. Ask about compliance packaging today! Do you take multiple medications? Unsure if you are taking them correctly? The pharmacists at Aikenhead's Drug Store offer MedsCheck consultations! We will sit down with you, go over your medications, provide helpful information and answer any questions you may have. Consultations can be requested at your convenience and can be done in store or in the comfort of your home. Ask your pharmacist about a MedsCheck today! Ask us about our compounding lab! Compounding is the creation of a pharmaceutical product specific to the unique needs of the customer. Who can I talk to about compounding? We have three PCCA trained pharmacists on staff. They are available for consultation if needed. Does compounding cost more than traditional medication? As with mass produced medications, the cost to the patient varies based on a multitude of factors. The upfront cost to the patient is higher than with traditional pharmaceuticals as we cannot bill the drug plans online. By definition, the drugs are too unique to have coverage automated. However, a lot of compounds are covered by drug plans upon submission of receipts. Aikenhead's can provide you with the documentation you need to provide to your drug plan. Call and ask for Theresa Hass, our friendly front shop manager. If we don't have it in store, chances are we can order it specifically for you! Aikenhead's stocks a wide variety of home health care products that can make a world of difference in your life. Check out our display in store or contact Theresa Hass, our front shop manager for more information. If we don't have what you are looking for there is a good chance we can order it for you. Expired medications can be dangerous to your health. Dispose of them safely and conveniently at Aikenhead's. It is suggested that a medicine cabinet cleanup be performed at least once per year.